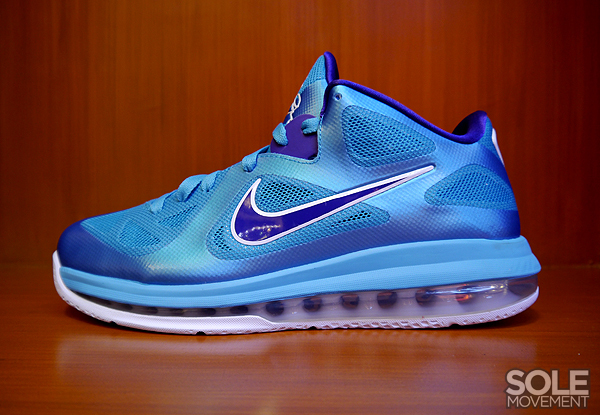 Continuing our preview of this year's releases of the all new Nike LeBron 9 Low, today brings us a look at the Summit Lake Hornets edition inspired by 'Bron's first ever rec team. 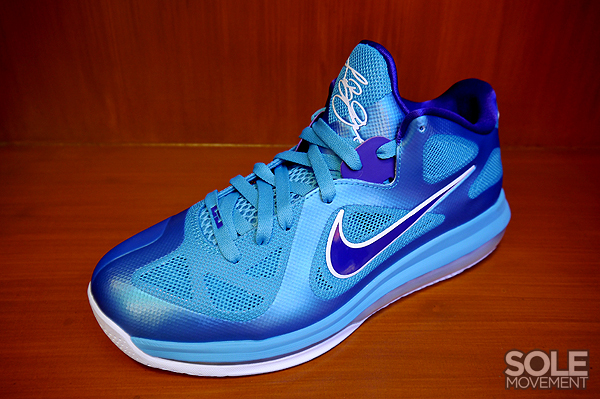 Almost identical to the recently released Summit Lake edition of the LeBron 9, the low-cut edition displays a vibrant combination of purple and aqua. 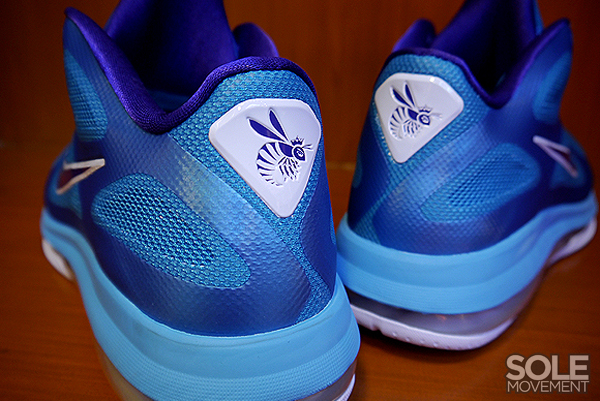 Aqua builds most of the Hyperfuse constructed upper, while purple hits the Swoosh, liner and midfoot harness. 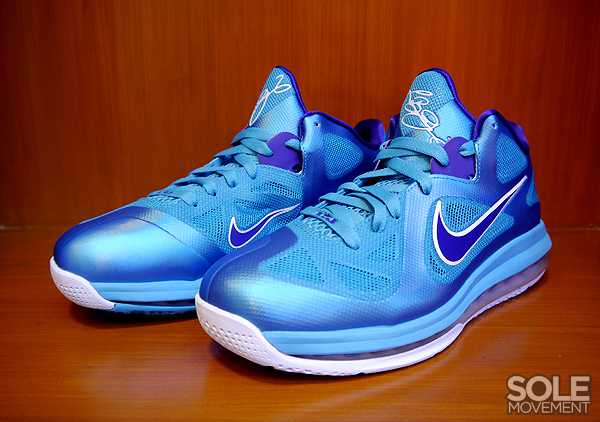 Aqua also hits the midsole, while white contrasts on the tongue branding, Swoosh outline, 360 Air bag and outsole down below. 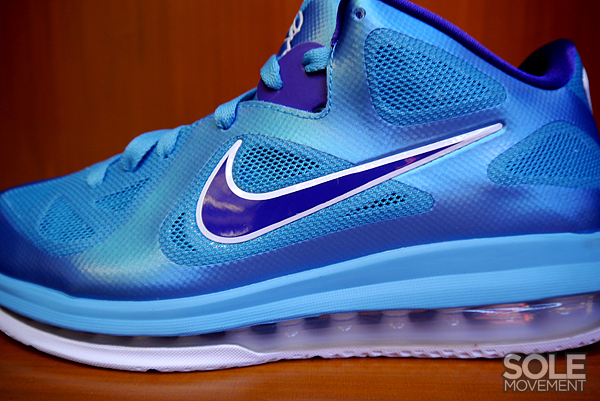 The "Summit Lake Hornets" Nike LeBron 9 Low is expected to release later this year at select Nike Sportswear retailers nationwide.